Not to be confused with Karl Eller. Carl Eller (born January 25, 1942) is a former professional American football player in the National Football League (NFL) who played from 1964 through 1979. 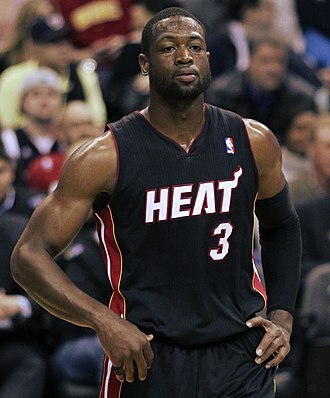 He was born in Winston-Salem, North Carolina and attended the University of Minnesota. He was elected to the Pro Football Hall of Fame in 2004. As a sophomore, Carl Eller helped lead the Gophers to a Rose Bowl victory. While Eller shared the starting position as a sophomore, he became a full-time, two-way player as a junior and senior and was voted All-America both years. During his time in college, the Gophers were National Champions as well as Big Ten champions. As a senior (1963), Eller was the runner-up for the Outland Trophy. Following each football season, the Carl Eller Award is given to the University of Minnesota's Defensive Player of the Year. He was elected to the College Football Hall of Fame in 2006. At the University of Minnesota, Eller joined Alpha Phi Alpha fraternity, via the Mu Chapter while at the University of Minnesota. In 1994, he graduated from Metropolitan State University in St. Paul, Minnesota with a bachelor's degree in human services. In 1964, Eller was drafted in the first round of the NFL draft by the Minnesota Vikings. He was also drafted in the first round of the American Football League Draft by the Buffalo Bills, who could not sign him. As the left defensive end in the Vikings front four, he was a major factor in the unit known as the "Purple People Eaters". Starting in 1968, Eller's fifth campaign, Minnesota won 10 Central Division titles in the next 11 seasons. The Vikings won the NFL Championship in 1969 , losing to the AFL Champion Kansas Chiefs in Super Bowl IV and won the NFC Championships in 1973, 1974, and 1976. Eller was one of 11 Vikings to play in all four of their Super Bowls. He was selected to play in six Pro Bowls (1968–1971, 1973, and 1974). After being traded with an eighth round pick to Seattle Seahawks for defensive tackle Steve Niehaus, Eller played his final season in 1979 with the Seattle Seahawks, where he ran his career total to 225 games. In his career, "Moose" only missed three games and started 209 out of the 225 he played. Eller is credited as the Vikings all-time sack leader with 130½. He also had 3 sacks with Seahawks in 1979 for a career total of 133½. He set career-high 15 sacks in 1969 and then matched that total in 1977, also to his credit 7 seasons with 10 or more sacks. Eller was First-team All-NFL from 1968–71, and again in 1973. He was also Second-team All-Pro in 1967 and 1972 and was All-NFC by AP and The Sporting News in 1975. Matched with his Pro Bowls, Eller had a nine-year consecutive streak with some sort of post-season honor which began in 1967 with his Second-team All-pro selection and ended in 1975 with his All-NFC honors. He was voted the George S. Halas Trophy in 1971 as the NFL's Defensive Player of the Year as awarded by the Newspaper Enterprise Association (NEA). As a licensed drug and alcohol counselor, Eller founded a group of substance-abuse clinics in the Twin Cities called Triumph Life Centers in 1986. He obtained a college degree in Human Services from Metropolitan State University in 1994 and went on to work for the Minnesota Department of Human Services, addressing issues of health disparities between white people and people of color. In 2000, Eller was named to the Vikings' 40th Anniversary Team and in 2010, he was named to the Vikings' 50th Anniversary team.In 2004, Eller was elected to the Pro Football Hall of Fame. In 2006, Eller was inducted into the College Football Hall of Fame. Eller was arrested in 2006 for DUI and pleaded guilty. Eller was arrested in 2008 for fourth-degree assault of a police officer and second-degree refusal to submit to chemical testing, both gross misdemeanors. 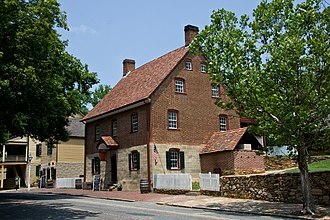 He was sentenced and served 60 days in the county workhouse. ^ "NFL Champions 1920-2015". Retrieved December 18, 2018. ^ "Vikings.com Ring of Honor". Archived from the original on February 5, 2009. Retrieved December 2, 2007. The Outland Trophy is awarded to the best United States college football interior lineman by the Football Writers Association of America. 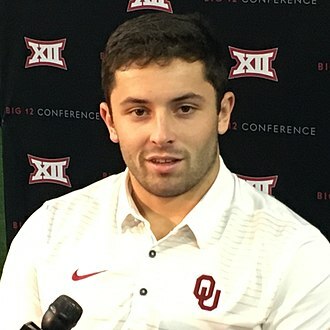 It is named after John H. Outland, one of only a few players ever to be named All-America at two positions, Outland garnered consensus All-America honors in 1898 at tackle and consensus All-America honors at halfback in 1899. The past five winners are Joshua Garnett, Brandon Scherff, Aaron Donald, Luke Joeckel, in the fall of 1895, John Outland entered the University of Kansas. He had previously played football for two seasons and had been captain at William Penn in Iowa. 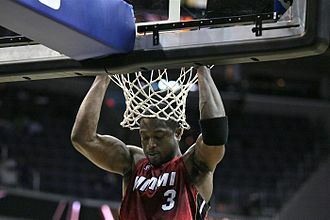 While watching practice one afternoon at Kansas, he was seen by the varsity captain who induced him to put on a uniform, three days later, he was playing on the varsity team. After a 6–1 season, he transferred to the University of Pennsylvania where he found his home, from 1897–99, Outland and Hall of Fame teammate Truxtun Hare led Penn to a 35–4–3 record. Outland obtained his degree and was a surgeon during World War I. The Minnesota Golden Gophers football program represents the University of Minnesota in college football at the NCAA Division I Football Bowl Subdivision level. 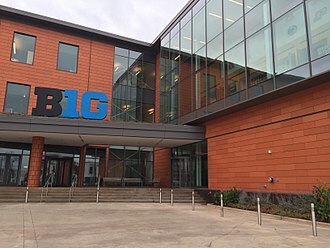 Founded in 1882, the program is one of the oldest in college football, Minnesota has been a member of the Big Ten Conference since its inception in 1896 as the Western Conference. The Golden Gophers claim seven national championships,1904,1934,1935,1936,1940,1941, since 2009, the Gophers have played all their home games at TCF Bank Stadium in Minneapolis, Minnesota. In January 2017, the Gophers fired head coach Tracy Claeys, the Minnesota Golden Gophers college football team played its first game on September 29,1882, a 4–0 victory over Hamline University. Eight years in 1890, the Gophers played host to Wisconsin in a 63–0 victory, with the exception of 1906, the Gophers and Badgers have played each other every year since then. The 124 games played against each other is the most played rivalry in Division I-A college football, students began gathering to play the game recreationally and its popularity grew. Once the sport had taken off, it was only a matter of time before a team was formed to play against other schools, early teams were very loosely organized, not requiring all of the players to be students and not having designated coaches. The players on the team started to recruit faculty members who had played football at schools in the East to help organize the team, some years, they played without a coach. Other years, they played with multiple coaches, in total, from 1882 through 1899, the team played 16 seasons of football and had 15 different coaches. 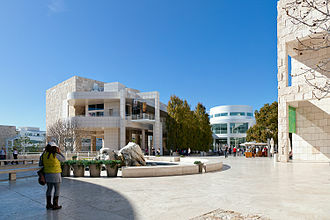 As the years went by, the structure started to become more formal. In 1900, the hiring of Dr. Henry L. Williams, the Gophers enjoyed quite a bit of success in the early 20th century, posting winning records from 1900 to 1919. Head coach Henry L. Williams developed the Minnesota shift, a predecessor to quick line shifts, Henry L. Williams led Minnesota to one of the NCAAs longest unbeaten streaks of 35 games, from 1903 to 1905 with 34 wins and 1 tie. The Super Bowl is the annual championship game of the National Football League. 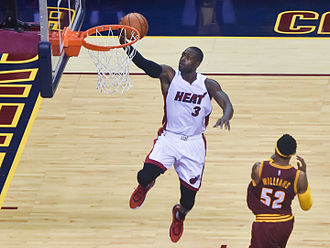 The game is the culmination to a season that begins in the late summer of the previous calendar year. 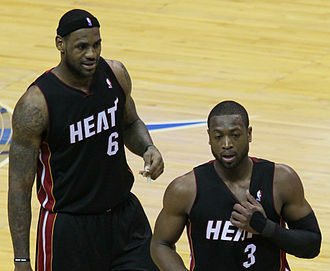 Normally, Roman numerals are used to each game, rather than the year in which it is held. For example, Super Bowl I was played on January 15,1967, the single exception to this rule is Super Bowl 50, which was played on February 7,2016, following the 2015 regular season. The next game, Super Bowl LII, scheduled for February 4,2018, the game was created as part of a merger agreement between the NFL and its then-rival league, the American Football League. It was agreed that the two champion teams would play in the AFL–NFL World Championship Game until the merger was to officially begin in 1970. After the merger, each league was redesignated as a conference, the National Football Conference leads the league with 26 wins to 25 wins for the American Football Conference. The Pittsburgh Steelers have the most Super Bowl championship titles, with six, the New England Patriots have the most Super Bowl appearances, with nine. The day on which the Super Bowl is played, now considered by some as an unofficial American national holiday, is called Super Bowl Sunday and it is the second-largest day for U. S. food consumption, after Thanksgiving Day. In addition, the Super Bowl has frequently been the most-watched American television broadcast of the year, in 2015, Super Bowl XLIX became the most-watched American television program in history with an average audience of 114. The NFL restricts the use of its Super Bowl trademark, it is called the Big Game or other generic terms by non-sponsoring corporations. As a result and discussing the broadcasts commercials has become a significant aspect of the event, for four decades after its 1920 inception, the NFL successfully fended off several rival leagues. However, in 1960, it encountered its most serious competitor when the American Football League was formed. The AFL vied heavily with the NFL for both players and fans, but by the middle of the decade the strain of competition led to merger talks between the two leagues. The College Football All-America Team is an honor given annually to the best American college football players at their respective positions. Camp took over the responsibility for picking the All-America team and was recognized as the selector in the early years of the 20th century. com. As of 2009, the National Collegiate Athletic Association recognizes the All-America teams selected by the AP, AFCA, FWAA, Sporting News, if three of these organizations select a player to their first team, he automatically receives the consensus honor. If a player is named an All-American by all five organizations, depending upon the distribution of first team honors at any given position, it is possible to be consensus with fewer than three first-team selections. The University of Notre Dame has produced the most unanimous All Americans of any program, there have been 2,868 players from 156 colleges and universities since 1889 who were selected to at least one All-American first team. It has selected an All-America team since 1925, the American Football Coaches Association has selected an All-America team every year since 1945. It is often referred to as the Coaches All-America Team, the Coaches’ All-America Team has been sponsored by various entities throughout the years but it is now under its own banner, the AFCA. These are the sponsors/publishers of the team throughout the years and it is sometimes referred to as the Writers All-America Team. The FWAA has selected an All-America team with the help of its members, the All-America team is selected by a committee of writers representing all conferences and regions of the NCAA. The Writers Team has been highlighted in various media forums, from 1946-70, Look published the FWAA team and brought players and selected writers to New York City for a celebration. During that 25-year period, the FWAA team was introduced on television shows by Bob Hope, Steve Allen, Perry Como. After Look folded, the FWAA started an association with NCAA Films. The team was part of ABC Televisions 1981 College Football Series, from 1983-90, the team was either on ABC or ESPN, and since 1991 has returned to the national spotlight on ABC. The National Football League is a professional American football league consisting of 32 teams, divided equally between the National Football Conference and the American Football Conference. The NFL is one of the four professional sports leagues in North America. The NFLs 17-week regular season runs from the week after Labor Day to the week after Christmas, with each team playing 16 games, the NFL was formed in 1920 as the American Professional Football Association before renaming itself the National Football League for the 1922 season. The NFL agreed to merge with the American Football League in 1966, and the first Super Bowl was held at the end of that season, the merger was completed in 1970. Today, the NFL has the highest average attendance of any sports league in the world and is the most popular sports league in the United States. 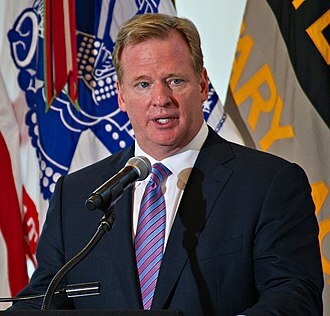 S. The NFLs executive officer is the commissioner, who has authority in governing the league. The team with the most NFL championships is the Green Bay Packers with thirteen, the current NFL champions are the New England Patriots, who defeated the Atlanta Falcons 34–28 in Super Bowl LI. Another meeting held on September 17,1920 resulted in the renaming of the league to the American Professional Football Association, the league hired Jim Thorpe as its first president, and consisted of 14 teams. Only two of these teams, the Decatur Staleys and the Chicago Cardinals, the first event occurred on September 26,1920 when the Rock Island Independents defeated the non-league St. Paul Ideals 48–0 at Douglas Park. On October 3,1920, the first full week of league play occurred, the following season resulted in the Chicago Staleys controversially winning the title over the Buffalo All-Americans. In 1922, the APFA changed its name to the National Football League, in 1932, the season ended with the Chicago Bears and the Portsmouth Spartans tied for first in the league standings. This method had used since the leagues creation in 1920. The league quickly determined that a game between Chicago and Portsmouth was needed to decide the leagues champion. Playing with altered rules to accommodate the playing field, the Bears won the game 9–0. 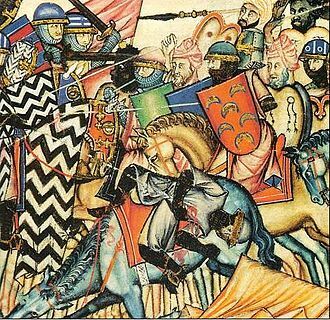 The Minnesota Vikings are an American football team based in Minneapolis, Minnesota. The Vikings joined the National Football League as a team in 1960. 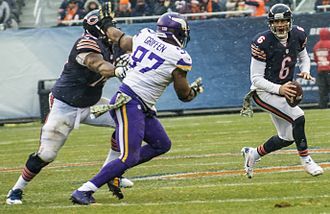 The team competes in the National Football Conference North division, before that, the Vikings were in the NFC Central, the team has played in four Super Bowl games, but lost each one. The team plays its games at U. S. Bank Stadium in the Downtown East section of Minneapolis, professional football in the Minneapolis–Saint Paul area began with the Minneapolis Marines/Red Jackets, an NFL team that played intermittently in the 1920s and 1930s. 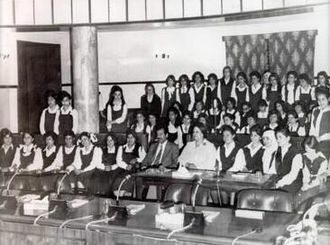 However, a new team in the area did not surface again until August 1959. Skoglund, and Max Winter were awarded a franchise in the new American Football League. Ole Haugsrud was added to the NFL team ownership because, in the 1920s, when he sold his Duluth Eskimos team back to the league, the agreement allowed him 10 percent of any future Minnesota team. Coincidentally or not, the teams from Ole Haugsruds high school, Central High School in Superior, were called the Vikings. From the teams first season in 1961 to 1981, the team called Metropolitan Stadium in suburban Bloomington home, the Vikings conducted summer training camp at Bemidji State University from 1961 to 1965. In 1966, the moved to their current training camp at Minnesota State University in Mankato. The Vikings played their games at the Hubert H. Humphrey Metrodome in Minneapolis from 1982 to 2013. The Vikings played their last game at the Metrodome on December 29,2013, since the teams first season in 1961, the Vikings have had one of the highest winning percentages in the NFL. As of 2014, they have won at least three games in every season except in 1962, and are one of only six NFL teams to win at least 15 games in a regular season. The Vikings have won one NFL Championship, in 1969, before the merger with the American Football League. Since the league merger in 1970, they have qualified for the playoffs 26 times, the team has played in Super Bowls IV, VIII, IX, and XI, though failing to win any of them. The University of Minnesota, Twin Cities is a public research university in Minneapolis and Saint Paul, Minnesota. The Minneapolis and St. Paul campuses are approximately 3 miles apart, and it is the oldest and largest campus within the University of Minnesota system and has the sixth-largest main campus student body in the United States, with 51,147 students in 2013–14. The university is the institution of the University of Minnesota system, and is organized into 19 colleges and schools, with sister campuses in Crookston, Morris. Minnesota is one of Americas Public Ivy universities, which refers to top universities in the United States capable of providing a collegiate experience comparable with the Ivy League. Founded in 1851, The University of Minnesota is categorized as an R1 Doctoral University with the highest research activity in the Carnegie Classification of Institutions of Higher Education, Minnesota faculty and researchers have won 25 Nobel Prizes and three Pulitzer Prizes. Notable University of Minnesota alumni include two Vice Presidents of the United States, Hubert Humphrey and Walter Mondale, and Bob Dylan, who received the 2016 Nobel Prize in Literature. The University of Minnesota Twin Cities is a member of the Association of American Universities which is an association of the 62 leading research universities in the United States and Canada. In its 2017 edition, U. S. News & World Report ranked Minnesota 38th in their Best Global University Rankings, the Times Higher Education World University Rankings for 2015 ranks Minnesota 46th in the world. In 2015, Academic Ranking of World Universities ranked the university 11th in the world for mathematics, the University of Minnesota is ranked 14 over-all among the nations top research universities by the Center for Measuring University Performance. The U. S. News & World Reports 2016 rankings placed the program of the University as the 69th-best National University in the United States. Additionally, nineteen of the Universitys graduate-school departments have been ranked in the nations top-twenty by the U. S. National Research Council, in both 2008 and 2012 U. S. News & World Report ranked the College of Pharmacy 2nd in the nation. 2016 U. S.
The Associated Press is an American multinational nonprofit news agency headquartered in New York City that operates as a cooperative, unincorporated association. The AP is owned by its contributing newspapers and radio and television stations in the United States, all of which stories to the AP. Most of the AP staff are members and are represented by the Newspaper Guild, which operates under the Communications Workers of America. As of 2007, news collected by the AP was published and republished by more than 1,700 newspapers, in addition to more than 5,000 television, the photograph library of the AP consists of over 10 million images. The AP operates 243 news bureaus in 120 countries and it operates the AP Radio Network, which provides newscasts twice hourly for broadcast and satellite radio and television stations. Many newspapers and broadcasters outside the United States are AP subscribers, as part of their cooperative agreement with the AP, most member news organizations grant automatic permission for the AP to distribute their local news reports. The AP employs the inverted pyramid formula for writing that enables the news outlets to edit a story to fit its available publication area without losing the storys essentials. Cutbacks at rival United Press International in 1993 left the AP as the United States primary news service, although UPI still produces and distributes stories and photos daily. Other English-language news services, such as the BBC, some historians believe that the Tribune joined at this time, documents show it was a member in 1849. The New York Times became a member shortly after its founding in September 1851, initially known as the New York Associated Press, the organization faced competition from the Western Associated Press, which criticized its monopolistic news gathering and price setting practices. The revelations led to the demise of the NYAP and in December 1892, when the AP was founded, news became a salable commodity. The invention of the press allowed the New York Tribune in the 1870s to print 18,000 papers per hour. Amir Pinnix celebrates a touchdown with D.J. Burris on September 1, 2007. Goldy showing off his ring at a Gopher Football Game. The 91st battle for the Little Brown Jug between the Minnesota Golden Gophers and Michigan Wolverines in the Metrodome. 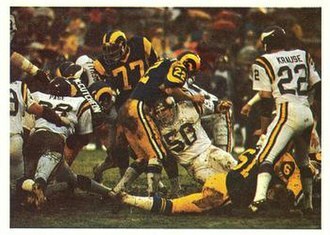 The Vikings' famed Purple People Eaters defensive line stopping a Rams rush in the 1977 NFC Divisional Playoff game. 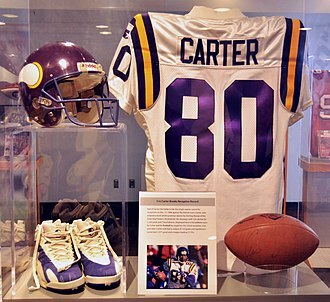 Cris Carter's Hall of Fame display. Carter was a Viking from 1990–2001. 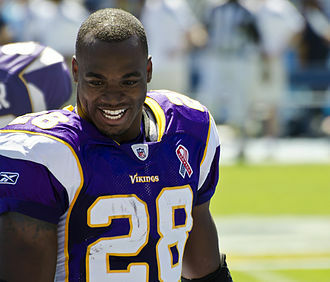 All-Pro running back Adrian Peterson was selected 7th overall by the Vikings in the 2007 NFL Draft, who played for the Vikings from 2007 to 2016. 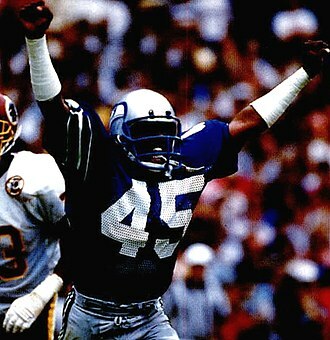 Hall of Fame safety Kenny Easley, a defensive unit leader for Seattle in the 1980s, was a top defensive player in the NFL and one of the Seahawks' all-time greatest players. Matt Hasselbeck played as the Seahawks quarterback from 2001–2010 and led the team to six postseason appearances and a Super Bowl appearance. Marshawn Lynch scored on a 67-yard touchdown run in the NFC Wild-Card Playoff Game against the New Orleans Saints in 2011. The Hall is made up of several sections, at heart is the display of inductees. The "Other Leagues" display includes the USFL; inductee Jim Kelly's jersey is in the foreground. College Football Hall of Fame in South Bend, Ind. featured a newly installed Sprinturf artificial turf field. The South Bend location closed on Dec. 31, 2012. College Football Hall of Fame side entrance. The Arts Quad of Cornell University in 1919. The organization was founded in Ithaca, N.Y., by students of Cornell University. Alpha Phi Alpha member W. E. B. 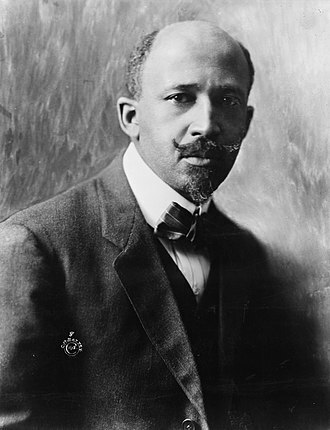 Du Bois was founder of the NAACP and its journal, The Crisis. "Selection Square" for the 2016 NFL Draft at Grant Park's Buckingham Fountain in Chicago. 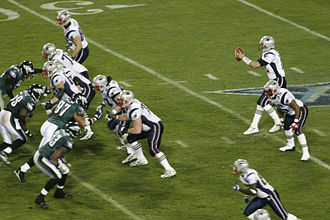 The Patriots playing against the Eagles in Super Bowl XXXIX. 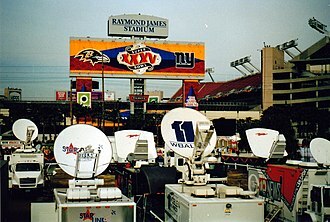 The Super Bowl XXXV broadcasting compound, full of satellite trucks. 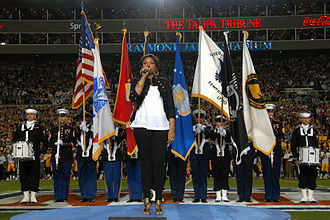 Jennifer Hudson sings the national anthem at Super Bowl XLIII. 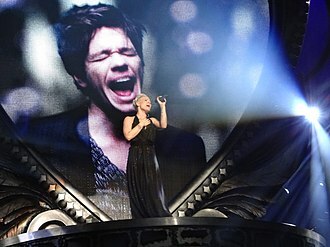 Madonna performing with LMFAO during the Super Bowl XLVI halftime show. Kyle Rudolph with the Pro Bowl MVP trophy in 2013. The current logo for the NFL Pro Bowl. The Akron Pros won the first APFA (NFL) Championship. Roger Staubach tosses a pass against Maryland. The Purple People Eaters in January 1970 at Metropolitan Stadium. From left to right: Marshall, Larsen, Eller, and Page. The Buccaneers playing against the Eagles in 1979 NFC Divisional Playoff Game.